Wanted to revisit Gex: Enter The Gecko? 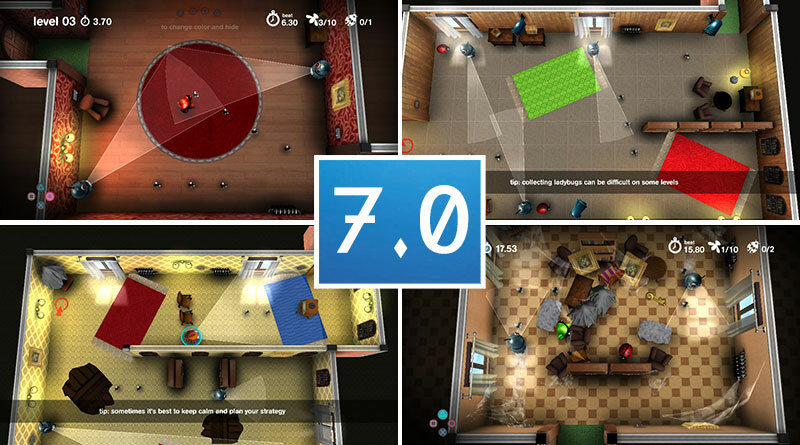 Too bad but if you like spy games you are in better shape. 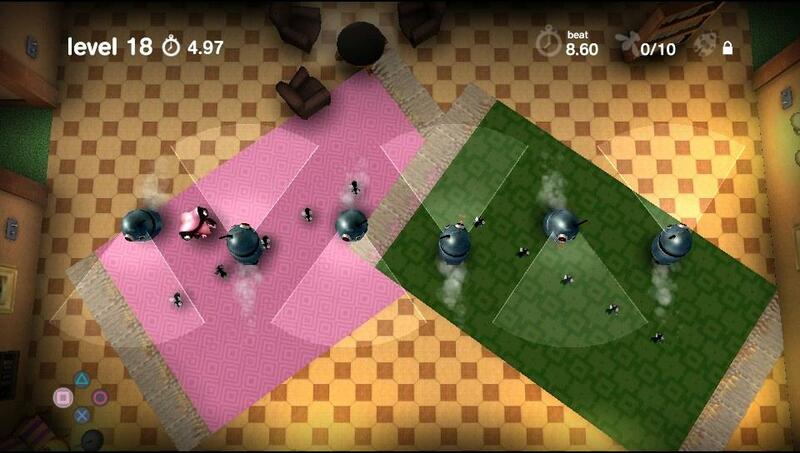 Spy Chameleon – RGB Agent brings quick levels and smart arcade puzzle gameplay to the PS Vita and it’s not too bad. 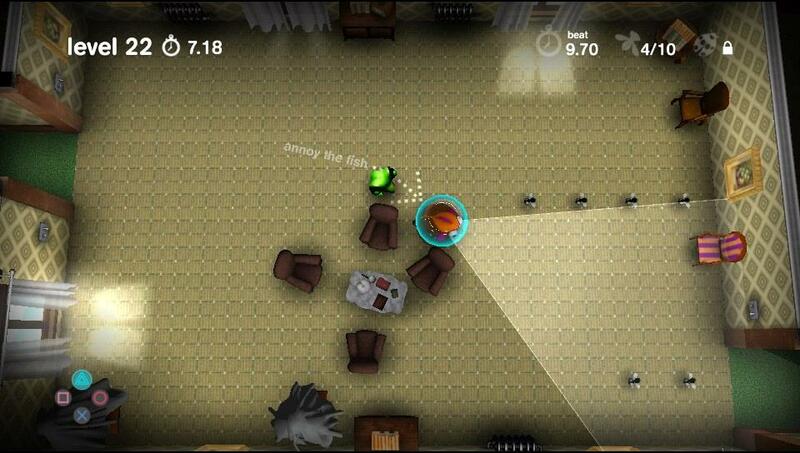 In Spy Chameleon – RGB Agent you control a chameleon on 5 different missions and 75 levels. 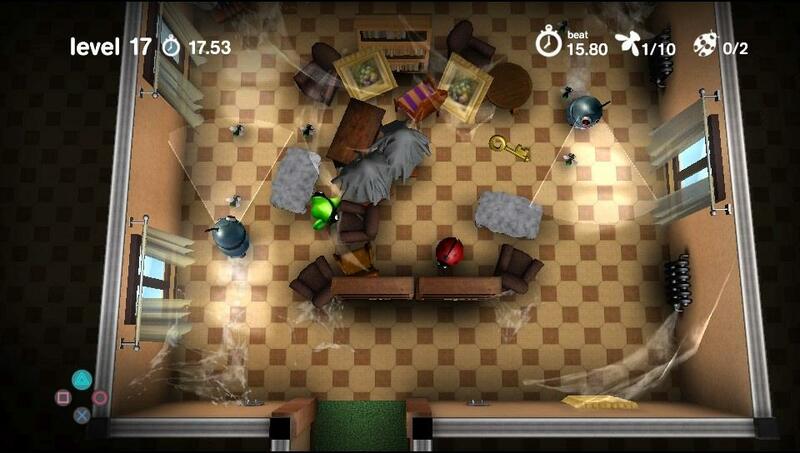 Each level consists of a room filled with enemies where you have to find the right way to the next safe spot. Early levels are easy and pretty quick with what I will call the spy system which is pretty simple and requires fast actions. 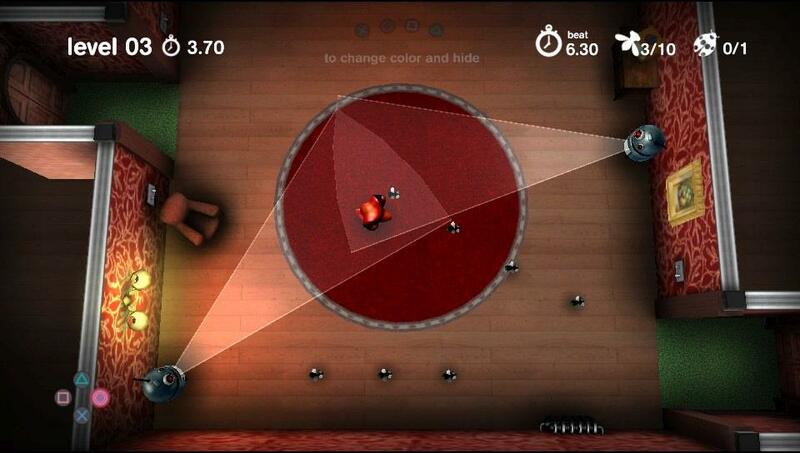 When the floor is red, you hit the button that goes with that color and the chameleon changes to red that it won’t be seen by the enemies and the security cameras. 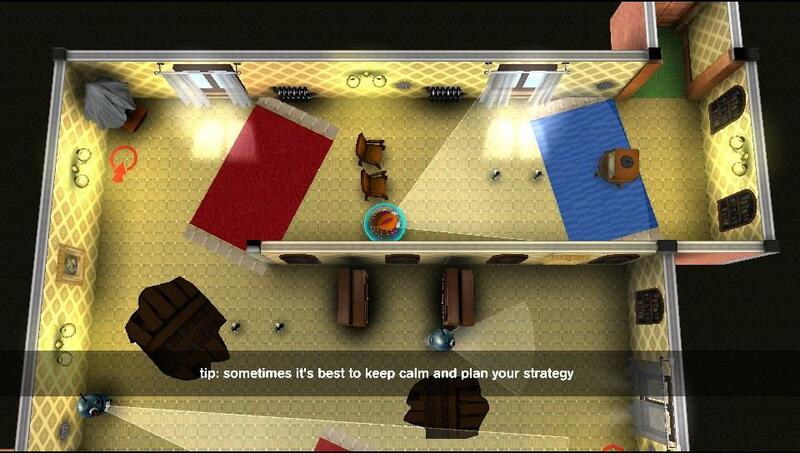 Later levels have harder themes and also use the level around you more while still staying simple. 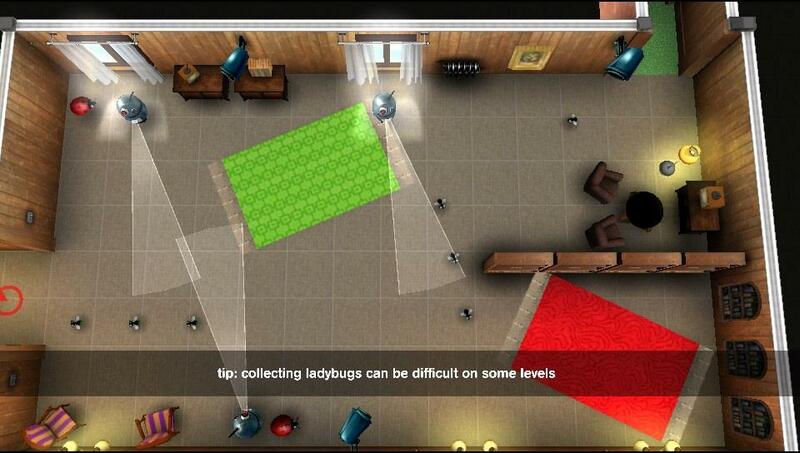 You have flies to collect which also show the best way out and if you collect all of a room it will open more levels. When you replay a level you can collect ladybugs and also to beat each level’s best time. 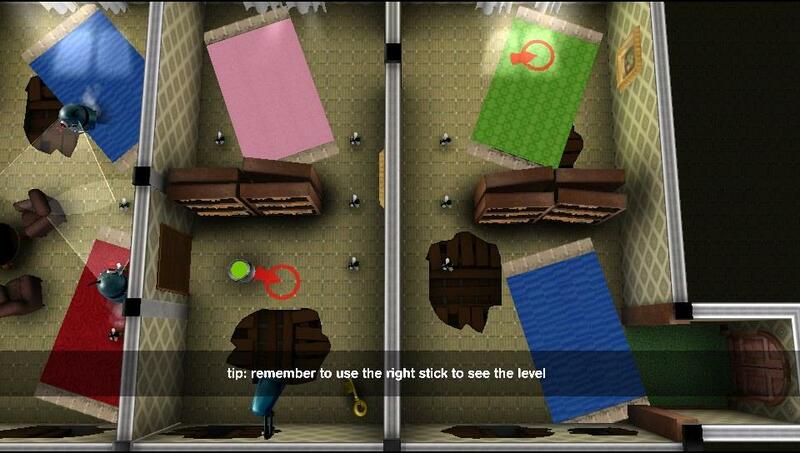 There are no bosses but the last level rooms should be called bosses because those are the hardest to play. The music is generic but fits the game and keeps the pace going. Loading is quick and I did get a couple of crashes while I was playing the game. 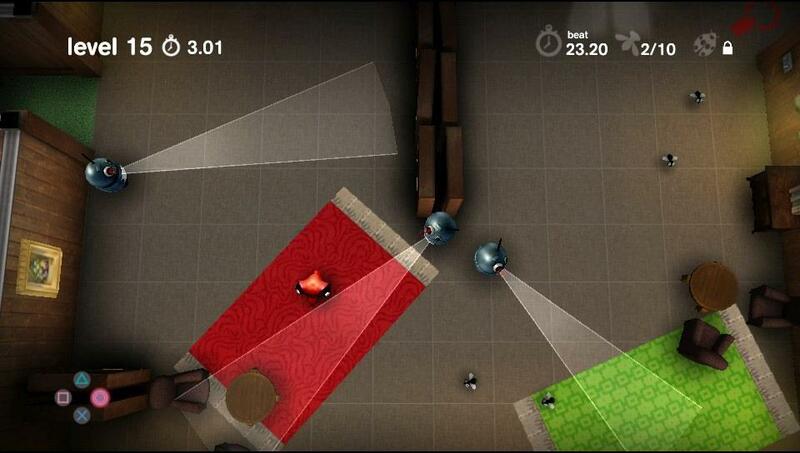 Spy Chameleon – RGB Agent is a neat arcade puzzler with some smooth gameplay and ideal for quick up and play but the levels have a difficulty spike issue which can get frustrating in the last rooms of each mission.